Recently, I’ve become interested in film awards and what kind of films are considered the best by the “official” film critics. What’s interesting is that, with the exception of the Lord of the Rings, blockbusters and big budget movies are ignored by the awards which should be honouring every part of the film industry. Sure, films like Guardians of the Galaxy, X-Men and Captain America were nominated for awards, but only for things like visual effects and editing. It does say something about the mentality of the movie critics when the highest earning and most popular movies of the year are only praised for looking nice when they are equally as worthy for nominations as the regulars. 1. Biography films or films based on real life events. As I’ve said before, there are some blockbusters which are praised. Lord of the Rings: Return of the King won eleven awards, including Best Picture, when it is a big budget movie ( I haven’t reached the third film in my very slow Middle-Earth marathon). But something about end of year movies and the movie types I discuss garner praise. But why? Every kind of movie deserves praise. A good movie is a good movie. It doesn’t matter if it is about war, superheroes, ghosts or giant monsters, as long as the script is good then the movie is good. Special effects don’t mean a movie is stupider or less intelligent, it means they need the effects to tell a story. The Avengers needed effects to tell that story, the same way Pacific Rim and Jurassic Park did, when they are three different movies with three different stories, each of them worthy of praise. And have any of the official critics who vote actually watch the blockbusters and take a look at the story? 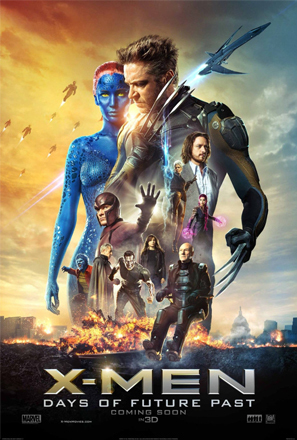 X Men: Days of Future Past is about choice and the effects of them. Thor is about how being removed from power can make you a better person. 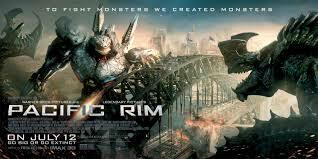 Pacific Rim is about humanity joining forces and fighting together. Spider Man 2 is about doing what’s right for the world, not just you. The Winter Soldier deals with corruption and the dangers of trust and power. Jurassic Park discusses the pros and cons of science. Guardians of the Galaxy is about how people can learn to help each other while also helping themselves. One of my favourite comic book teams return in an epic movie with two time zones, two Magnetos (!) and brilliant action while still having compelling characters and a deep and dark story. An amazing and entertaining movie, with one of the best fight scenes I’ve ever seen (the 10 minute battle in Hong Kong), with amazing effects and characters who can fill in the vibrant and detailed world. What you always need to bear in mind is that all awards are voted for by individuals associated with the industry. These individuals take themselves terribly seriously and are very concerned with their public image. Therefore they tend to vote for films that are high-minded and worthy or arty and pretentious. Public popularity and commercial appeal are never positive factors in their closed mind deliberations. I enjoyed your nominations, but ‘Pacific Rim’ better than ‘Thor 2’? Never! At least you didn’t nominate ‘Atlantic Rim’, which gets my nomination as the worst film I can remember in the last 5 years (or longer).